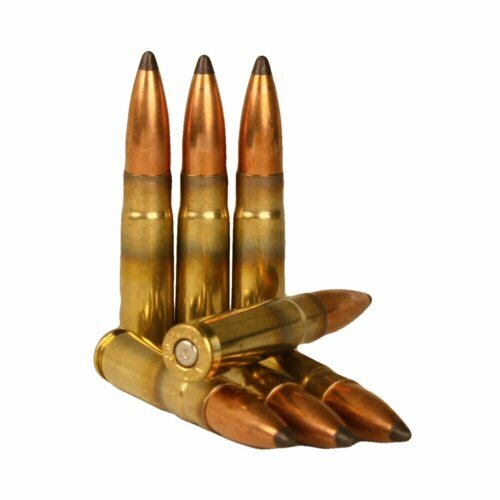 The .300 AAC Blackout cartridge is a calibre designed by Advanced Armament Corporation to utilise a .30 calibre bullet head in a similarly sized package to the 5.56 Nato cartridge. This inert round is fitted with a copper jacketed soft point heavy head which would permit the rifle to shoot at subsonic speeds for quiet operation with a sound suppressor. The exposed lead tip makes the round expand more easily upon impact. The .300 Blackout is highly popular with many US firearms manufacturers and a large proliferation of rifles is available commercially.The price is for ONE inert cartridge. The ammo consists of a brass case, indented primer and copper jacketed head, and there is no propellant or ignition present. Inert ammunition may not be sent outside the UK by Royal Mail and must travel by courier such as DHL or UPS.